With so many generator models on the market, choosing the right one can be a difficult task. In order to select a generator that is right for your needs, consider whether you need a generator for your business office, home, camping, remote job site or recreation. Defining the purpose why you need a generator is the first step for selecting the right generator. Generally these machines come in two main types: stationary and portable generators. The stationary models are usually installed outside. And because they work on natural gas or propane instead of gasoline, they provide clean energy. The portable generators can supply power for different devices in your home when you are facing a blackout. Outside your home, a small generator can provide power for small appliances, like TVs, lights and power tools. These machines are ideal for camping. 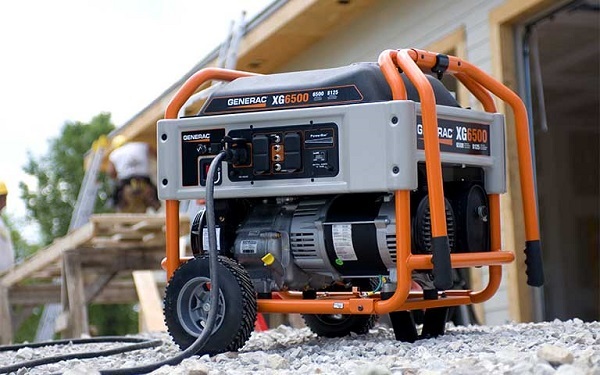 You can use medium or larger portable generators at construction sites in order to operate power tools like saws, drills, air compressors and paint sprayers. The small and middle sized models usually generate power from 3,000 to 8,500 watts. Most portable generators run on gasoline, but some can use propane or natural gas. The portable generators are less expensive when compared to the stationary models, and are easy to store and move. Buying a generator is just the beginning. Some models don’t come with additional parts. Others might let you down when you need them the most. In addition, here are few simple steps to follow when looking for a generator for your home or construction site. Reliability – Generators are machines that are categorized by wattage. The wattage determines how may appliances and lights you can run at the same time. Generator manufacturers produce high wattage machines for extra power which is required by some complicated electrical devices. Which generator to choose – Decide what you need to power. If that includes an electric oven, dryer or a central air conditioner, you will need a larger and powerful generator. Also, think about the fuel. Most portable generators use 8 to 22 liters of gasoline per day. Look for some smart features. For example, some portable generators can be automatically turned off when the oil level is very low. Alternative-fuel capability – Stationary generators often run on either natural gas or propane. When it comes to portable generators they run only on gasoline. However, some portable models can work on a natural gas or propane. Oil guard – This feature protects the generator engine from failures by shutting down the machine when the oil level falls below the minimum. This is typical feature for the stationary generators, but also for some portable generators as well. Wheels – You need only one person to move a portable generator that comes with wheels. But, if the machine needs to be lifted, you will need more help. Portable generators with pneumatic tires can be easily moved from one place to another. Inverter technology – This is a common feature for the higher-end portable models. It makes the wattage output more consistent and smoother via microprocessor-controlled circuit. Fuel gauge – The gauge allows you to check the fuel tank very easily. It is very useful, especially during extended power failure. Electric starting – The modern portable generators come with start-stop button for easy engine operation. For ultimate protection on the construction site, the mobile crane should be operated according to the manufacturer’s load chart. 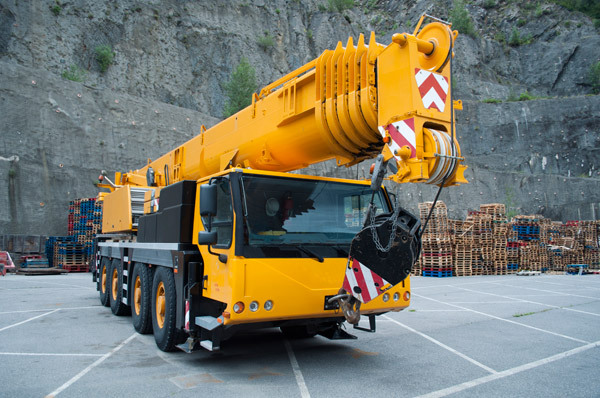 The mobile crane operators should know how to calculate the weight of each load. If the load is accurately calculated according to manufacturer’s manual, the chances for unexpected accidents are equal to zero. A mobile crane operator should never measure the lift capacity of the crane by using visual signs. When a mobile crane is used for lifting materials, the outrigger pads need to be placed on firm and stable surface. Cranes should be properly set according to the manufacturer’s procedures for proper outrigger deployment. The mobile crane operators should always check the condition on the ground when they perform multiple lifts from one location to another. They must be sure that the crane is placed on a firm and stable ground. Operators should never hoist or move suspended loads over workers within the swing radius of the mobile crane. They might lose control over the load and cause some serious injuries. The work at the construction site can be very unpredictable. That’s why the operators should always take all safety measures before they start working with a mobile crane. One of the things operators must do is to barricade the area within the crane’s swing radius, and to stop unauthorized persons from entering the pinch points. Kids under 18 are not allowed to operate a mobile crane, even when assisted by experienced operators. Capacity – The first thing you need to determine is the lifting capacity. Usually, the lifting capacity of the crane is always higher than its weight. 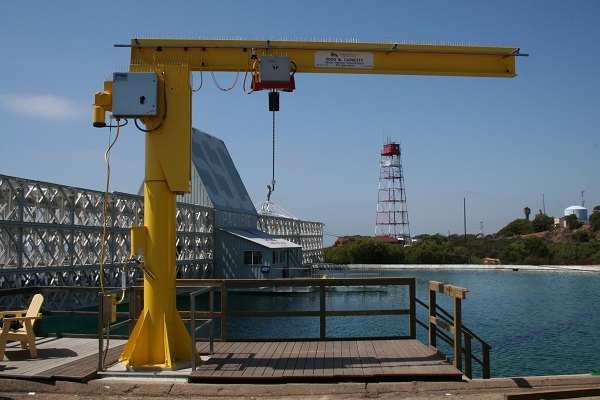 Determine what is the maximum weight that needs to be lifted in order to choose the right jib crane. This way, you will be sure that the job will be completed without injuries or accidents. Boom rotation – When it comes to the boom rotation, there are several jib cranes on the market from which you can choose. You can choose between free standing and wall mounted jib cranes. The free standing jib cranes can rotate up to 360°, while the wall mounted jib cranes up to 180°. Have in mind the place where you will install the jib crane. Total height – the distance to the highest point. Under boom height – Under boom height is the distance from the floor to the underside of the jib crane boom. This height will determine what type of hoist should be used for your application. Hook reach – the distance to the farthest point of the lifting load. Boom span – the distance to the boom tip. Installation – When it comes to installation, the jib cranes can be quite different. For example, the free standing cranes must be erected onto a concrete foundation or onto a reinforced, substantially thick concrete slab. On the other hand, the wall mounted cranes are usually installed against steel columns like hollow structural tubing, wide flange beam, walls and even monolithic concrete columns. When injuries happen on the job site, the productivity is instantly decreased. That’s why many companies, especially those that use heavy-duty machines, implement safety procedures for preventing serious injuries. Many forklift truck injuries happen when people are working near the forklift. Proper forklift maneuvering is important to ensure safety for everyone at the job site. Inspect the forklift truck before every operation. Perform a routine check of the equipment before using it. Some of the things you should check on a daily basis are: tires, brakes, steering, lifting system, mast, water and oil level, and battery. Wear appropriate clothing. Wear protective equipment such as hardhat, safety footwear, hi-visibly jackets. Depending on the work environment, additional protective equipment might be required. 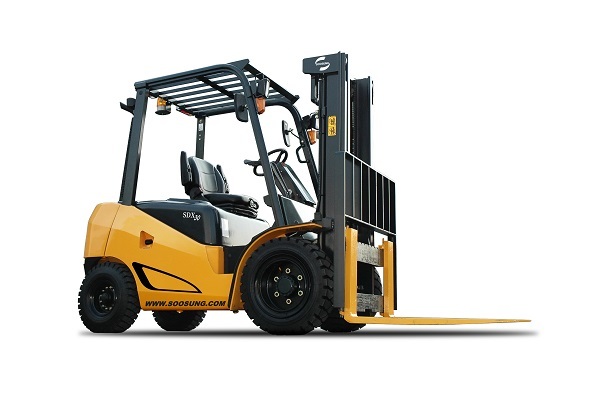 Choose the right forklift truck for the job. When choosing a forklift truck, you should consider the following things: capacity limits, potential hazards and the load requirements. Drive with caution. It is important for you to respect the speed limits, and also to sound the horn at corners and danger spots. Always drive to the right side of an aisle, stop before doorways, never carry passengers and be careful when driving and loading around pedestrians. Avoid tipping over. When carrying a load, it is important to keep the forks close to the ground and the mast tilted back. Be careful on hills and inclines. Don’t move heavy loads on sloppy and slippery surface. Never leave a forklift truck unattended. Always start the machine in neutral, with the parking brake on and the forks lowered. Although simple, these safety tips can help you to protect everyone at the work site. If your main business operations revolve around transportation of goods and material, your main concern is probably quality heavy freight transport services. What you need is fast, quality and timely service that will not cost you a lot. 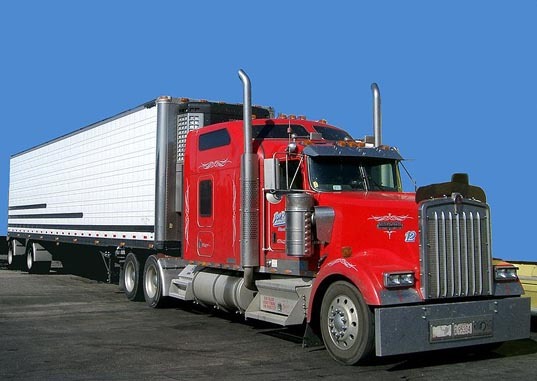 Selecting the right trucking company can break or make your budget. But yes, you can get an exceptional heavy haulage transport services at a down-to-earth price. For example, there are smaller heavy freight transport companies that offer discounts to those businesses that have their products on pallets and ready to be shipped. However, not all heavy haulage transport companies provide the same price or quality of services. There are few important things you must consider, such as customer support, equipment, location and prices. It’s probably best to choose a logistics company with a location near your pick-up point. If you are located far, the trucking company may not have enough motivation to prioritize your load. And may wait until they have an empty truck passing through your area. Also, if the distance is meaningful, you will most likely be charged extra. Therefore go with the closest (in terms of distance) transport company as they are more likely to get the job done fast, on time and without additional costs. You must also consider the equipment the heavy haulage transport company uses before making your final choice. You do not need to be an expert on how these companies work or know their company rules. The only thing you can ensure is hiring a reliable truck. Considering the situation, this is the simplest thing you can do. Asking questions about company’s fleet will give you an insight on how old and in what driving condition trucks are. This is a necessary step since hiring older vehicles may cost you time and money due to truck’s mechanical failure. Also, older vehicles take much longer to reach the end destination. Make sure you find out whether the freight trucking company you have selected charges extra fee for drivers who possess special licenses. For example, if your load requires a driver with a hazardous materials license, some trucking companies will charge extra for this type of service. Many people choose a heavy freight transport company just by name. They generally pick companies with well-know names that are often seen on the roads. Although popularity is not good enough reason to choose a trucking company, sometimes it can be sufficient enough. But keep in mind that bigger logistics companies may offer inflexible rates. On the other hand, with smaller trucking companies, it is more likely to develop stronger customer relationship as they will keep your updated on prices, cargo status and more. 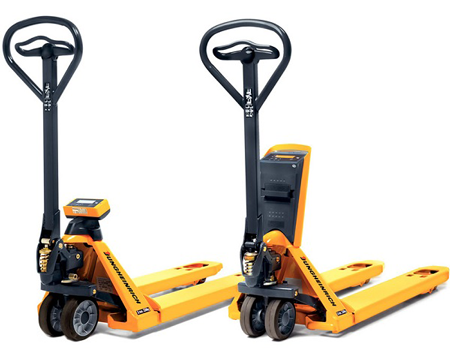 Hand pallet trucks are commonly used for transporting and handling goods and materials. These pallet jacks are designed to easily transport heavy wooden pallets. Warehouse managers who are concerned with safe and timely transportation of material from a truck at a retail facility, find the hand pallet truck ideal. Pallet trucks are suitable for a wide range of material handling tasks, including order picking, horizontal transport, loading/unloading and stacking. It doesn’t require specific operation skills, however operator needs to follow certain important steps in order to ensure safe use of this vehicle. Operators use very little effort and can easily maneuver hand pallet truck, however, if not handled properly materials can still be damaged. In order to eliminate or at least reduce hazards, act in accordance with the following standard precautions. It’s important to plan all hand pallet truck operations ahead of time. Taking all foreseeable risks into account will prevent any possible damage. Chances of not completing the tasks properly are equal to zero. When things are organized well tasks are always carried out safely. Even though hand pallet truck doesn’t require specific training, still operators have the responsibility to provide all information and instructions before using this kind of pallet truck. The responsible person is obligated to follow all safety rules and precautions in order to avoid potential hazards. People that are responsible for this hand pallet truck must pay attention to the workplace conditions. They should be careful not to crash onto pedestrian workers, overturn the load and hurt themselves or someone near the truck, pay attention to traffic routes, overhead electric cables, gas pipes and sharp or blind bends. People working with hand pallet trucks should consider all job requirements, operating conditions and environment in which they operate. Thus, they have to pay attention to the specific weights and dimensions of loads allowed in certain places. Workers should not exceed the safe working load of a hand pallet truck. If they don’t follow this rule, the risk of damaging the goods is grater. You should not run this truck over cables or pipes, if they are not properly protected. You may lose control over the machine and damage finished goods and materials. Demolition works can be efficiently carried out by using different crushing equipment, but which machines to choose for your project can be a difficult task. If you are looking for a powerful and effective crushing equipment, a lot of factors need to be closely considered. Before making any decision, you need to carefully consider few important aspects, such as the amount of money you are willing to pay for a particular crushing equipment, power consumption, capacity, ease of operation, safety etc. Before purchasing crushing equipment for your demolition works, you need to get a certificate in order to be legally allowed to operate such kind of equipment. The machines used for demolition works are some of the most powerful and dangerous machines on the market, so you and your workers need to be well-trained for effective and safe operation. Improper use of crushing equipment can lead to many accidents, which is the main reason why many people decide to get a license before purchasing crushing equipment. Finding the ideal crushing equipment for your demolition work can take time, because you need to compare many crushing machines before making the final decision. Budget is another problem that needs to be solved before purchasing the crushing equipment. You need to set a budget you are willing to spend for a high quality and reliable crushing equipment, just like most big companies do. 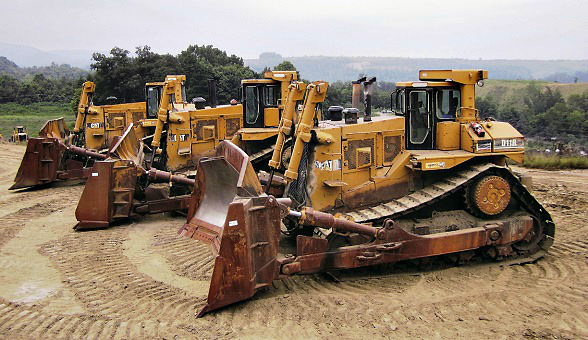 If you spend a little more time on the market, you may get an exclusive offer for demolition equipment. Although the cost is one of the main factors that can affect the final decision, you should avoid buying a demolition machine that will not function as supposed. Make sure you choose crushing equipment which will guarantee you effective results, increased productivity and of course more profit. There are many unreliable manufacturers that offer cheap but low quality equipment, so try your best to avoid them. Spend more time reading reviews from other users and find out more about the manufacturer. Perhaps the best way to find the right crushing equipment for your demolition work is to spend a little time on the Internet looking for reliable online suppliers. You can find a variety of crushing equipment for demolition purposes, designed and produced by many reliable and well-known manufacturers. Also, you can find more information by reading forums about demolition machines, and read opinions or personal experiences by different users. The Internet can significantly make your quest easier. Finding the right mining equipment is very important for completing the job in the most efficient and safe manner. The end result of any mining task depends heavily on your experience, and of course on the mining equipment you are using. In the past, the miners used only handmade and simple tools for mining operations, but today there is a wide range of different mining machines which are designed to be used for different mining tasks. #1: Set A Budget – The price is very important factor that affects the decision to purchase a specific mining equipment. First, you need to set a budget you are willing to spend and then to decide what type of mining machine you can get for the price you are willing to pay. 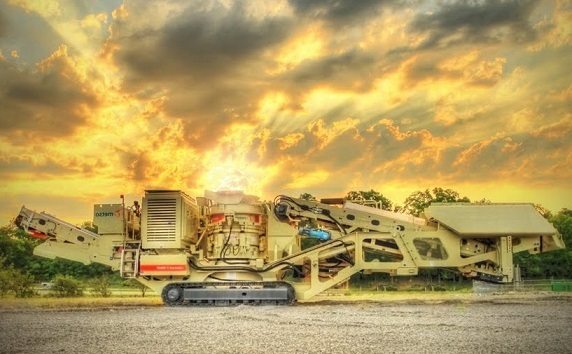 If your budget allows you, consider the latest series of mining equipment coming with many innovative features and high-techs. A second-hand mining equipment would be ideal if you cannot afford to spend big. #2: Type Of Mining Operation – The mining operations are performed either under or above the ground. These two different mining operations require different mining equipment, and you need to specify what type of operation you are going to do with your mining machine before getting one. For example, the earth-movers are ideal for above ground operations, dragline excavators for under ground operations while the graders are ideal for both under and above ground mining operations. #3: Choose The Right Brand – There are many manufacturers of mining equipment on the market, but you need the find the one that has a great reputation among the miners. The reputation is earned by providing reliable, powerful and high-quality mining equipment. The chances of getting the right mining equipment by choosing a reputable and reliable brand are very high. In addition, the most popular brands provide their customers support and training services all around the world, so that any problem related to the mining machine can be quickly and efficiently solved. #4: Expert’s Opinion – In order to make the right decision, you need also to consider a second opinion from an expert in the mining field. As a final step, ask for opinion for choosing the ideal mining equipment. This way, you can be sure that the mining equipment you are planning to buy will be the right one for your mining work. 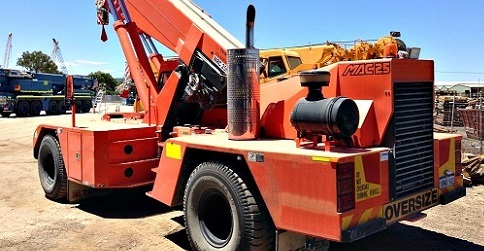 The Franna cranes are described as mobile cranes, usually assembled in small trucks not including stabilizer legs or outriggers for additional stability. Because of that, their lifting capacity is limited. The capacity of the Franna cranes usually range from ten to twenty tons. They are designed to travel on public roads and streets, and are capable to handle any pick and carry work quickly and efficiently. Consider the price. The price for the crane you are planning to buy does not necessarily determine the quality of the service. You can find a reliable supplier of Franna cranes that sells high quality new machines and second-hand cranes in good working condition. Choose a crane that will not damage your budget a lot. Look for a company with professional service that can satisfy your special needs. Different Franna cranes are used for different applications. Finding the best equipment will guarantee efficiency and money savings. By following all these steps, you will have more chances to find and to buy the right equipment for your job.